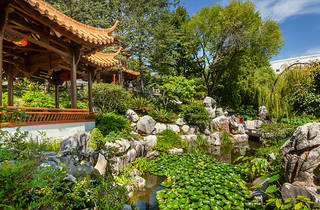 Waterfalls, weeping willows, lily pads and blossoms make this one-hectare garden a charming and calming place to visit. 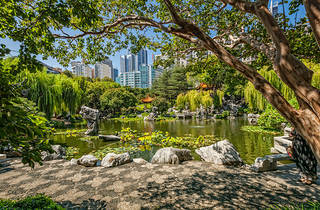 Officially opened in 1988, the Chinese Garden of Friendship was initially commissioned by the Guangdong Landscape Bureau in Sydney's sister city Guangzhou to reflect the bond between the two cities, and incorporates architectural principles of the Taoist philosophy of yin (calmness) and yang (activity). Featuring calligraphy, carvings and sculpture, alongside dragons and other mythological creatures, the garden transports visitors from Sydney's city of sin into a world of tradition and calm – a refreshing change from exhaust fumes and traffic. 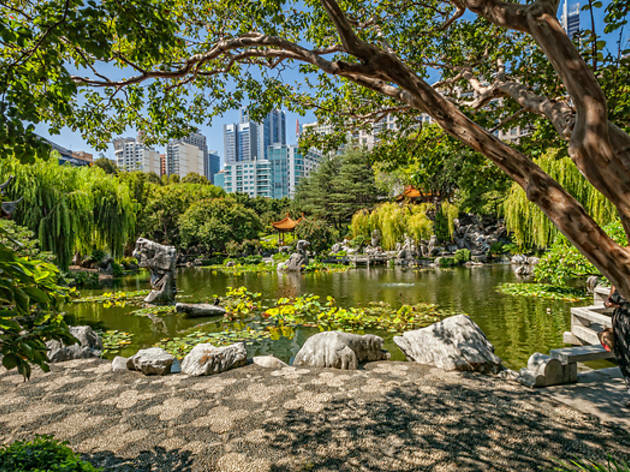 The garden is dotted with hidden treasures, including an ancient cyad (fossil plant) and the red silk cotton tree (a floral symbol of Guangdong). A highlight is the Lake of Brightness, which is full of chubby carp. Visitors who are feeling adventurous (or glamorous) can even channel Imperial China, dressing in traditional prince or princess gear, playing around in their very own Chinese palace for the day. 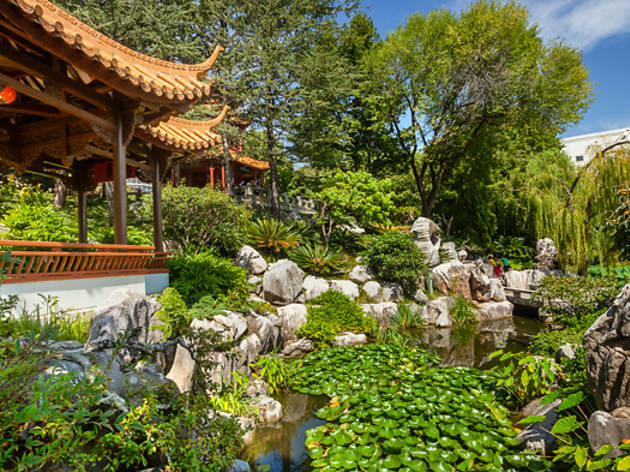 The Chinese Garden offers oodles of zen – the perfect environment to sip your tea, savour the peace and quiet and be cocooned from the crazy city.